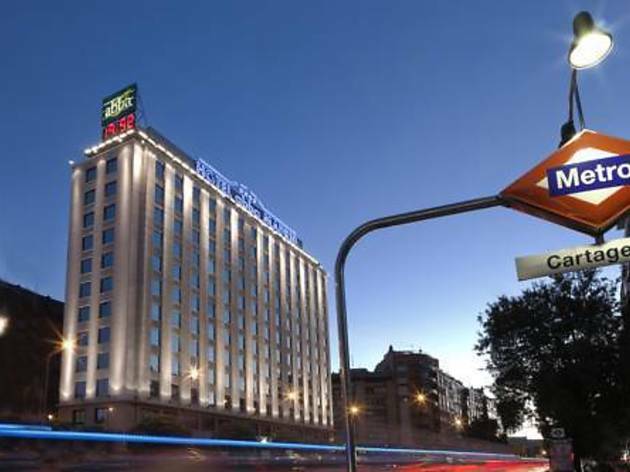 NH Collection Madrid Colón is set in Madrid’s Plaza Colón, 400 metres from Recoletos Train Station. The hotel offers free WiFi, a gym and roof terrace with a seasonal outdoor swimming pool. The hotel is near the Archaeology Museum and the designer shops of the Golden Mile. The Art Triangle, including the Prado Museum, is just over 1 km away, and Puerta del Sol is within a 10-minute bus ride. 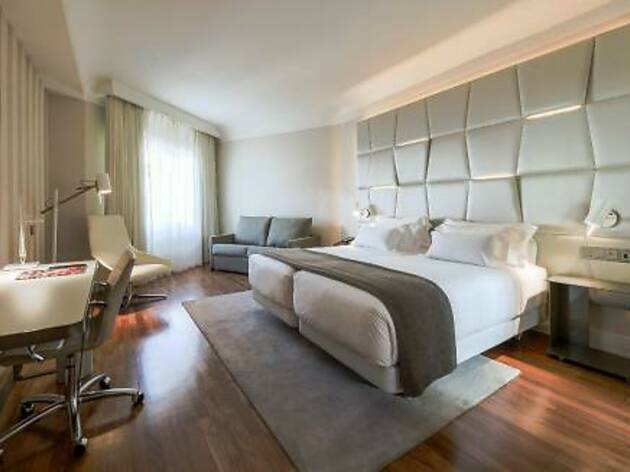 NH Collection Madrid Colón has elegant, modern rooms with a Nespresso machine, free water and a kettle, as well as a 46-inch flat-screen TV, free high-speed WiFi, and a laptop safe. The private bathrooms have a professional hairdryer and a rain-effect shower. The hotel has a peaceful central courtyard. There is also a sun terrace with parasols and sun loungers. NH Collection Madrid Colon offers meeting rooms and events facilities. NH Collection Madrid Colón serves a healthy breakfast. An early-morning coffee and pastry service is available. The hotel also has a stylish sushi restaurant. 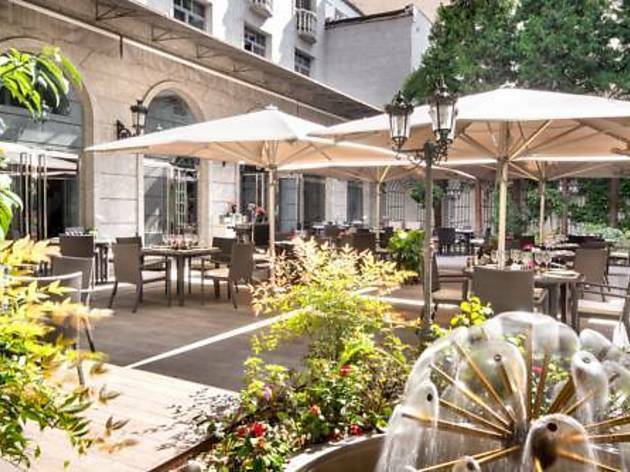 Featuring an outdoor swimming pool, the elegant Wellington Hotel in Madrid’s Salamanca district is just 100 metres from Retiro Park. It has a spa with sensation showers and a hot tub, available for an extra charge. The air-conditioned, soundproofed rooms at the Wellington all have free WiFi, a flat-screen TV, minibar, and a safety deposit box. The marble bathrooms have bathrobe and slippers. Some rooms include a Nespresso® coffee machine and electric kettle. The hotel has a free, well-equipped fitness area with a range of cardio equipment. There is also a sun terrace with loungers. The hotel’s renowned Kabuki restaurant offers delicious sushi while Goizeko Wellington restaurant offers gourmet Basque cuisine. There is also a coffee shop and an English bar. On the 7th floor, guests will find the Wellington Club, a private lounge area with a terrace and stunning views of the city. 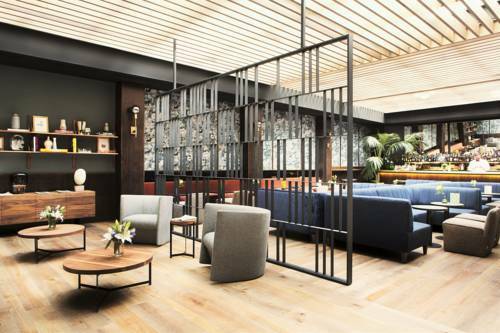 This exclusive lounge includes an complete library with a seating area, hi-speed WiFi service, and a 60-inch flat-screen TV.There is also a snack bar room with unlimited food and drinks. A select cigar menu is available. 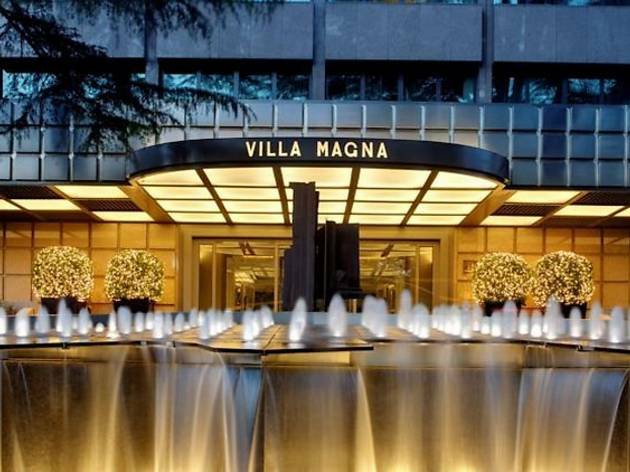 This hotel is just 5 minutes’ walk from the boutiques of Paseo de la Castellana, and Prado and Thyssen Bornemisza museums are within 6 minutes by car. Retiro Metro Station is just 250 metres away. The property offers an airport shuttle for a surcharge. 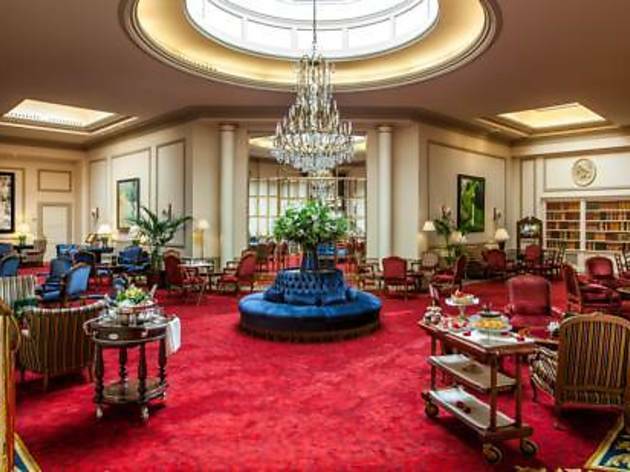 In the Salamanca district of Madrid, just a hundred metres from El Retiro, stands the Wellington, one of Madrid’s top five-star hotels. Its facilities include an outdoor pool, a spa tub, a free fitness area and a large sun terrace. Guests at the hotel can also enjoy sushi in its famous Kabuki restaurant and Basque cuisine in the gourmet Goizeko Wellington restaurant. 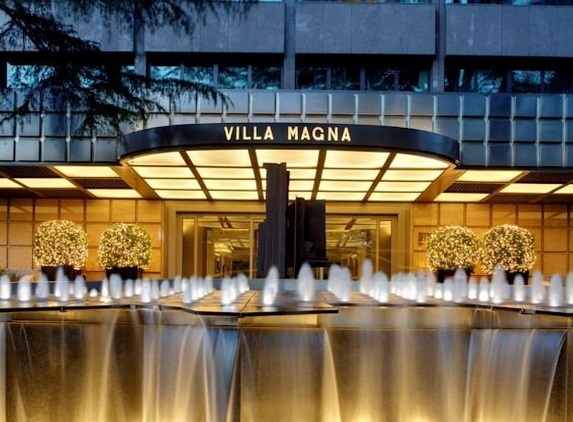 Hotel Villa Magna, located halfway between the exclusive shops of Serrano and the bustle of the city centre, is one of Madrid’s luxury hotels. The sumptuousness of its rooms has a perfect complement in the relaxing atmosphere of its wellness club, which offers a variety of treatments and massages, and its fitness centre, which has the latest workout equipment. The elegant Hospes Puerta de Alcalá is set next to Puerta de Alcalá, in Madrid’s Salamanca district. 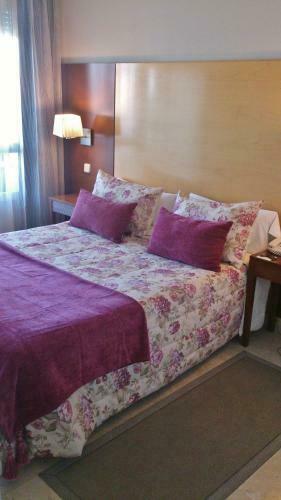 It offers free WiFi, great views of the Retiro Park and free access to the Bodyna Spa. 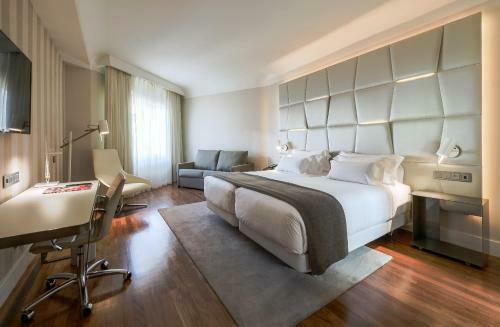 The stylish rooms at Hospes Puerta de Alcalá come with a flat-screen TV, a bathrobe and special amenities. The Bodyna Spa area has 4 treatment rooms, a soundproofed relaxation room, a hammam, gym and a small relaxation pool. All guests have access to the spa. 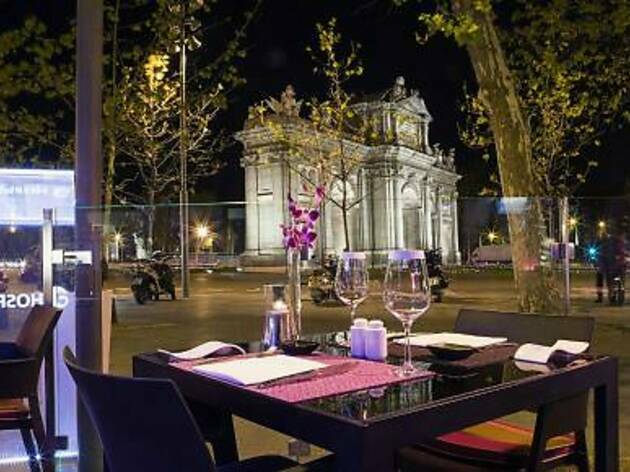 The Malvar Restaurant offers meals, tapas and a large terrace with views of the Puerta de Alcalá. Guests can also enjoy a drink or relax in the Patio Chill Out. Private parking is available onsite for an additional cost. 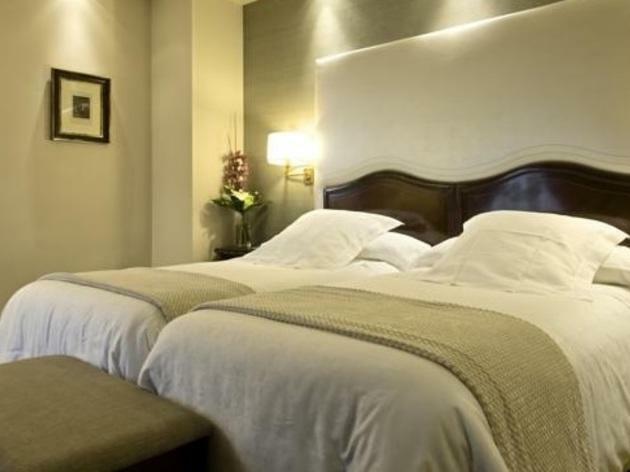 An elegant 5-star hotel, Hospes Puerta de Alcalá is set in a historic building dating from 1883. The Prado, the Reina Sofía Museum and Cibeles Fountain are within a short walk. Since 2014 in Madrid, specifically in the street Don Ramon de la Cruz one of the most anticipated restaurants in the city ... The Doberman Restaurant. A place to feel comfortable, enjoy good food and enjoy the best value in the capital. 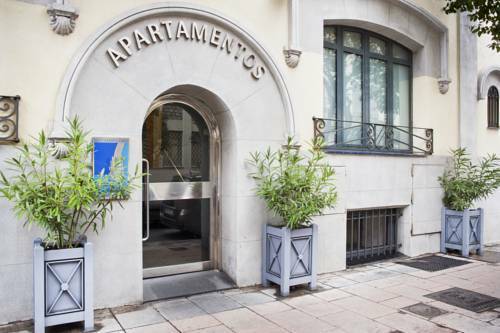 The Abba Madrid is located in Madrid’s Salamanca district, just 50 metres from Cartagena Metro Station. This stylish hotel features a restaurant with Mediterranean and market cuisine, and comfortable rooms with free WiFi. 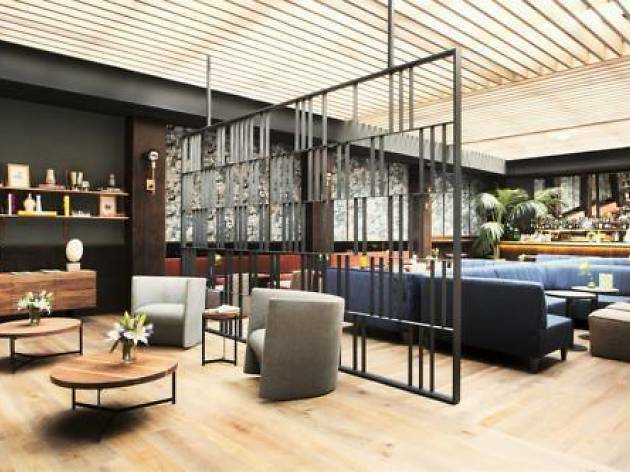 Abba Madrid Hotel offers simple décor with bright colours, carpeted floors and wooden finishings. Each air-conditioned room is soundproofed and has a minibar, satellite TV, and fully equipped bathroom with amenities. Guests can enjoy a buffet breakfast in the hotel dining room. 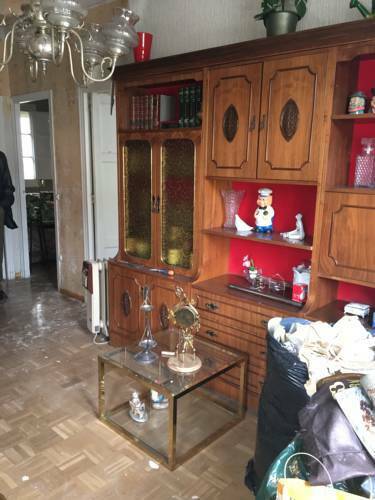 There is also a bar and lounge area. 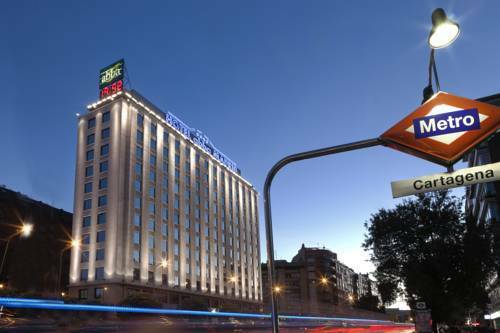 The hotel is ideally situated for visiting Madrid’s many attractions, including the Prado and Reina Sofia museums, which can be reached in 20 minutes by Metro. The number 200 bus to Barajas Airport stops outside the hotel, on Avenida de América. 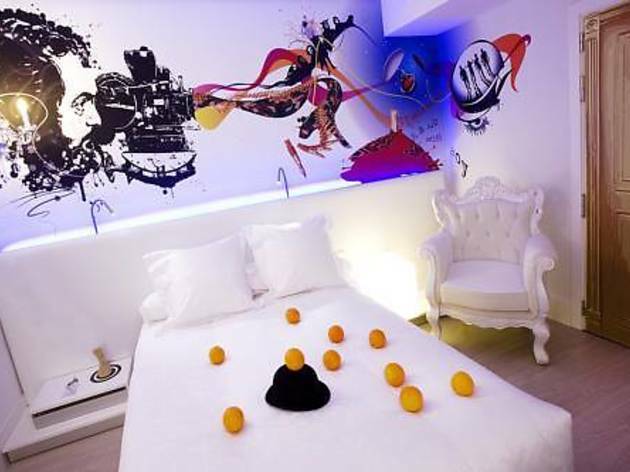 Dormirdcine offers cinema-themed accommodation in Madrid’s elegant Salamanca district, 400 metres from Diego de León Metro Station. Each stylish room has a flat-screen TV, free Wi-Fi access and a minibar. Dormirdcine’s rooms and public areas are bright and modern. They are decorated with murals and graffiti art related to popular films. There is a café and a cinema bar. A varied breakfast buffet is available each morning. There is also a 24-hour reception with a tour desk. Madrid’s old town is around 2 km from the Dormirdcine and there is direct access by public transport, including bus and the nearby metro. The Retiro Park is a 20-minute walk away. Featuring an on-site gym, TOTEM Madrid is located in the heart of Madrid, in the Salamanca neighborhood. It offers a cocktail bar and free WiFi. Room service is available. Rooms at TOTEM Madrid have modern décor and parquet floors.They all offer air conditioning, a flat-screen TV, and a stylish bathroom with black marble finishes and free toiletries. The hotel is set in a historic building. The Retiro Park, the Golden Triangle and Cybeles Fountain are all nearby. Goya Metro Station is a 2-minute walk away. TOTEM Madrid also has a private parking, available at an extra cost. Public areas are bright and attractive. 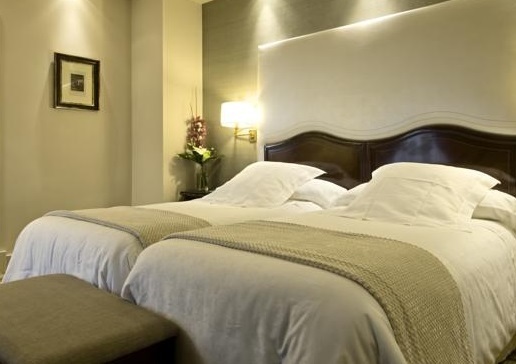 Located 200 metres from Madrid’s Recoletos Station, VP Jardín de Recoletos is a 5-minute walk from Retiro Park. It offers free Wi-Fi and spacious rooms with a kitchenette, seating area and terrace. The VP Jardín de Recoletos Hotel is surrounded by attractive terraces and gardens. The hotel’s restaurant serves Mediterranean cuisine and has an outdoor seating area, open in summer. Each bright, air-conditioned room at Hotel VP Jardín de Recoletos offers a safe and a private bathroom. 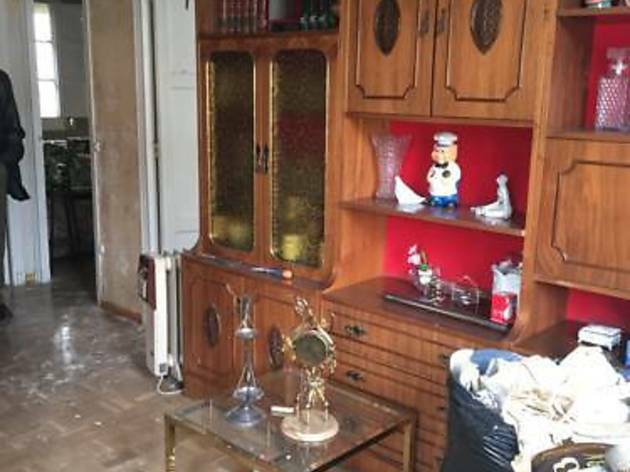 Kitchenettes include a microwave, fridge and ceramic hob. Guests can enjoy the buffet breakfast served every morning. 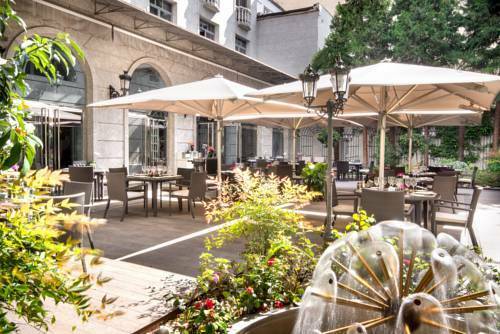 Set next to the National Library in Madrid’s elegant Salamanca district, the hotel is a 15-minute walk from the Prado and Thyssen-Bornemisza Museums. Shops and bars can be found within walking distance. Retiro and Colon Metro Stations are both within 400 metres. The nearest airport is Adolfo Suarez Madrid-Barajas Airport, 12 km from the accommodation. 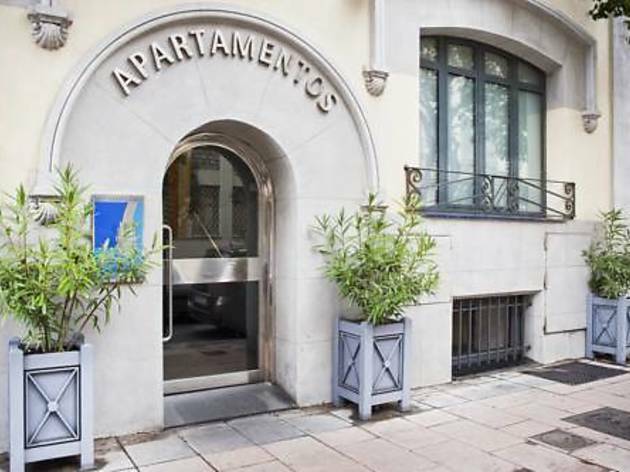 My City Home Antonio Toledano offers accommodation in Madrid, 1.1 km from Bullring and 1.7 km from Retiro Park. Guests benefit from terrace.The kitchen is fitted with a toaster. A flat-screen TV is offered.Puerta de Alcalá is 1.8 km from My City Home Antonio Toledano, while Museo del Prado is 2.4 km away. 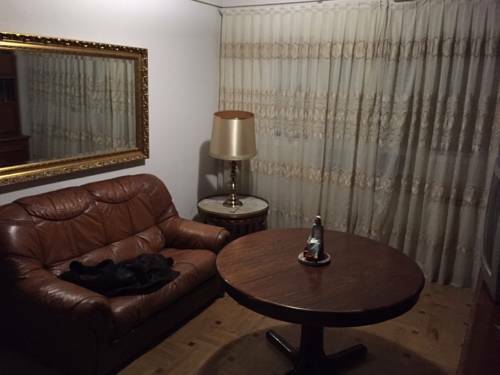 Adolfo Suarez Madrid-Barajas Airport is 10 km from the property. Situated in Madrid, this air-conditioned apartment features free WiFi. The unit is 1.2 km from Puerta de Alcalá.The kitchen is equipped with an oven, a microwave and a toaster, as well as a coffee machine and a kettle. 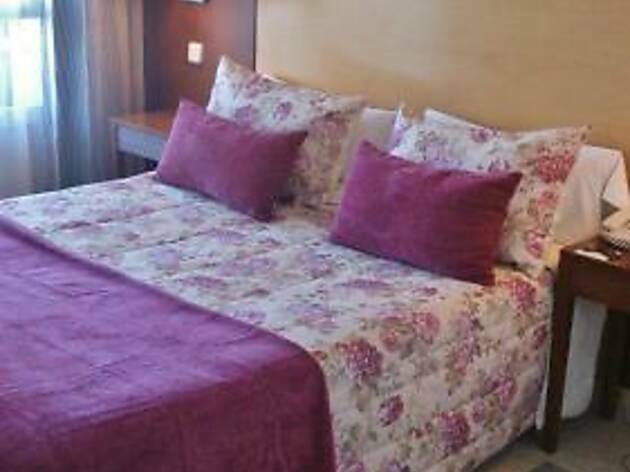 Towels and bed linen are featured at Apartamento Salamanca.Bullring is 1.4 km from Apartamento Salamanca, while Retiro Park is 1.4 km away. Adolfo Suarez Madrid-Barajas Airport is 11 km from the property. 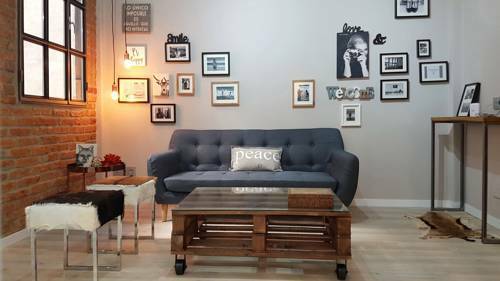 Set 300 metres from Bullring in Madrid, this apartment features free WiFi. 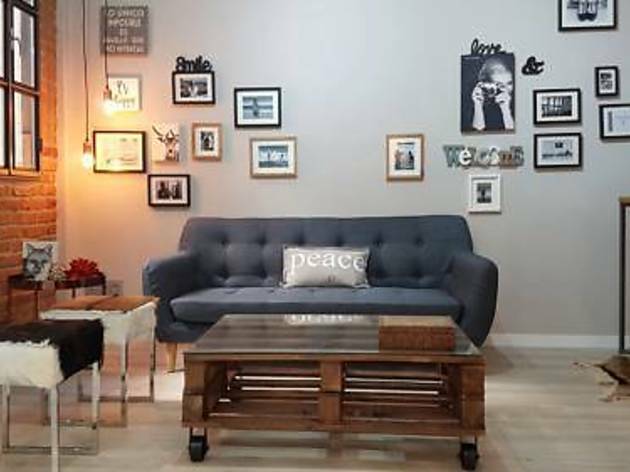 The unit is 2.3 km from Puerta de Alcalá.The unit is equipped with a kitchen. A TV is provided. 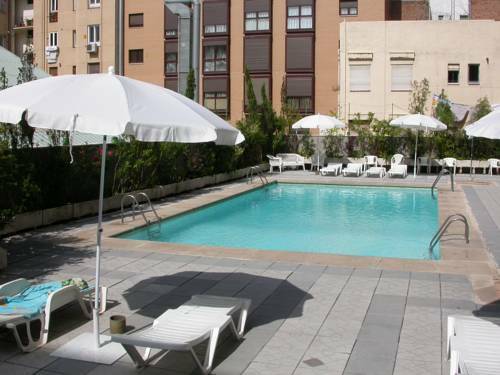 Other facilities at Apartment Plaza de Toros Barrio Salamanca include a terrace.Retiro Park is 2.3 km from Holidays Apartment, while Santiago Bernabéu Stadium is 3 km from the property. The nearest airport is Adolfo Suarez Madrid-Barajas Airport, 10 km from the property. Suites Barrio de Salamanca is located in one of Madrid’s main commercial districts, 5 minutes’ walk from the Lazaro Galdiano Museum. It offers free Wi-Fi and air-conditioned rooms, most with a private balcony. All rooms at the Barrio de Salamanca Suites have a seating area with satellite TV. The private bathrooms come with a hairdryer. The hotel has a café-bar where you can get a snack or a drink. Staff at the 24-hour reception can help you to plan your stay in Madrid, and there is also a car rental service. Plaza de Colón Square is just a 10-minute walk from the hotel. Gregorio Marañon and Nuñez de Balboa Metro Stations are both around 600 metres away, and offer direct access to the city centre.